How to restore wooden garden furniture? Typically, wooden garden furniture – specifically teak – can be left in the garden all year round, although this will naturally turn the wood a silver-grey tinge. When it comes to cleaning, remove all of the residue it has built up over the months it has been out of use using a stiff bristle brush. It is also a good idea to clean your furniture with soapy water to get rid of any stains or marks that may be left from the build up of dirt. Once covered from top to bottom, rinse the soapy water off and dry it thoroughly. At this point, you may want to lightly sand any surfaces that are looking particularly weathered, but this is optional. Next up, it’s time to protect your wood from the elements by using a teak sealer – you can do this by using an old rag. Simply apply the sealer using some cloth, rubbing in the solution gently and following the grain. If you wish to apply more than one coat, you must ensure that the first layer is completely dry before going ahead. NOTE: If you wish to restore your wooden furniture back to its original colour, it is often recommended for you to use a ‘furniture restorer’ which you simply just paint on. However, here at Faraway Furniture, we believe it is best to leave the furniture to weather naturally as it is proven to last much longer. Find out how to clean teak garden furniture here. How to restore plastic garden furniture? 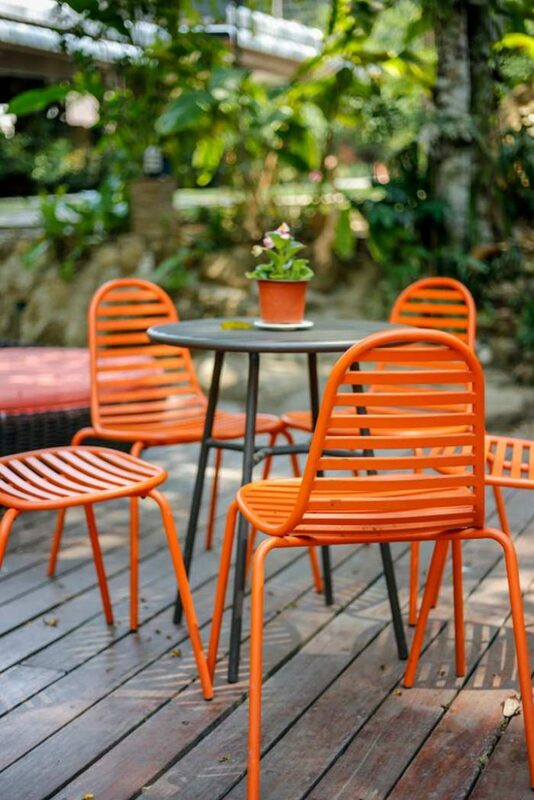 Even though plastic garden furniture is often deemed weather-proof, it is still prone to damage and discolouration. Therefore, it is advisable to store your plastic furniture in a shed or garage during the winter months. When you are ready to use your garden furniture when the weather begins to improve in spring and summer months, take it out and wash it down using a soft sponge. Use hot soapy water with a splash of bleach to remove any stubborn stains. Once dried completely, consider adding a clear protective layer of car wax. How to restore metal garden furniture? Aluminium and wrought-iron garden furniture can stay outdoors, but it may oxidise over a period of time. Therefore it is worth keeping an eye on the furniture over the autumn and winter months, when this would be most likely. If you have room to store the furniture inside, inside a garage or shed, it is highly advisable. However, if you don’t have any storage space available, it may be a good idea to invest in outdoor furniture covers to protect against the elements, including UV filters. You can purchase furniture covers in various sizes, to cover your garden sets from surface to floor for optimum protection. Alternatively, some tarpaulin will do the same job, but beware, they may not be effective enough to block out sun rays. To clean-up and restore your metal garden furniture, first things first, you should remove any scuff marks off. Next, use a non-abrasive cleaner and wash with soapy water, before rinsing off the suds with a hose. Be sure to protect the surface once you are finished with clear car wax. How to restore rusty garden furniture? It is a known fact that metal garden furniture sets can live outside all year round, however they are prone to rusting. As a result, it is important to make sure you are treating them regularly and frequently refreshing with metal paint. As well as this, think about applying a protective layer of wax at least once a year to prevent rusting. 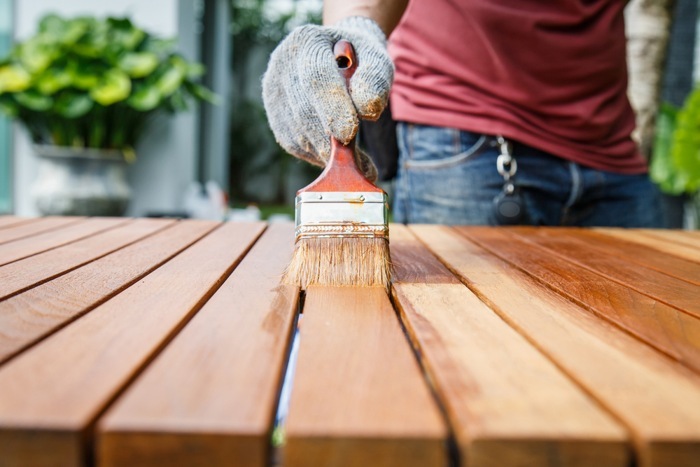 Bear in mind, before painting the furniture, gently using a wire wool brush, rub off any rust and loose dirt that has developed over the winter months. This is a crucial step, otherwise the paint won’t dry smoothly. Next, scrub the furniture down with soapy water, sand and paint using enamel paint. If you’re feeling lazy, you can purchase paint that can be added on top of the rust as well, such as Hammerite. How to restore rattan garden furniture? Rattan garden furniture can be left outdoors all year round, however, remember to remove any cushions and covers once autumn sets in. To keep up with maintenance, dust with a dry brush and clean the weaves with a non-foaming detergent – this can cause mildew to build up, and mould. Once you have cleaned the furniture, rinse each piece using a hose to remove any residual detergent or dirt out from the weave material. If you want to find out more about rattan furniture, read our guide here. 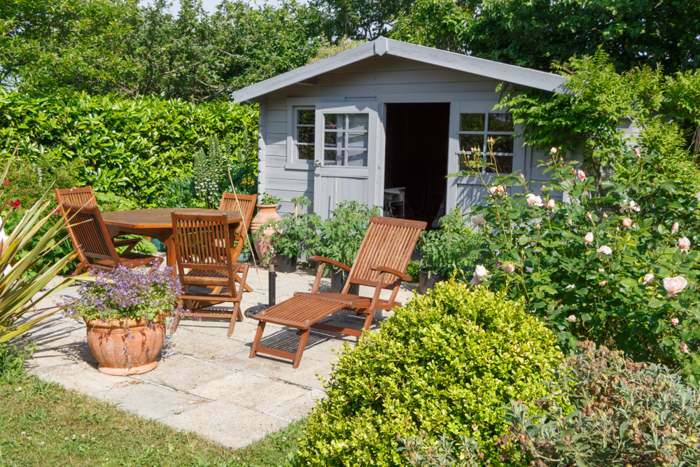 Is it time to say goodbye to your old garden furniture? Despite being a quick and easy job, sometimes restoring your garden furniture is simply not worth the time and effort. As a result, making an investment for the future might be a better option for you, especially if you don’t have much time on your hands. 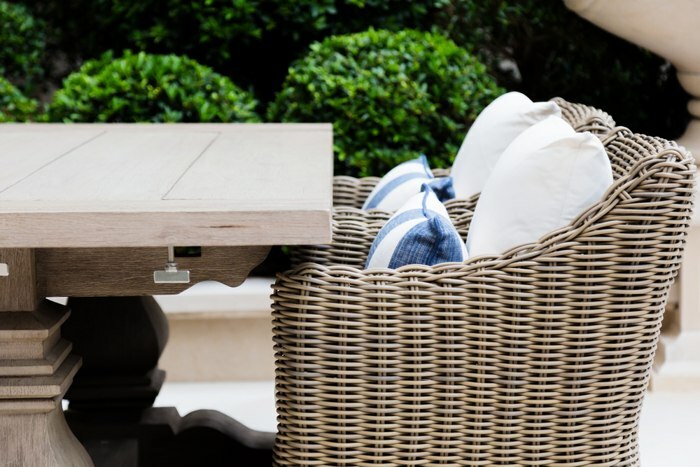 Of all garden furniture materials, teak garden furniture is one of the most hardy and durable – no wonder it is considered the perfect “no maintenance” furniture as it can be left outside to its own devices without much up-keep. 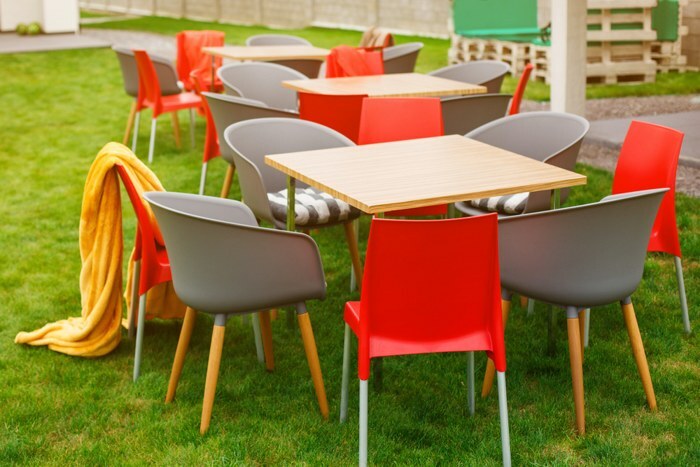 Read our guide to no maintenance garden furniture if you’re looking for the perfect garden furniture for you and your outdoor space.